I've been scared of doctors forever... DON'T BE! This guy and his staff is SOO comforting and easy to talk to!! !SEE DR SINGER!!! I've been scared of doctors forever... DON'T BE! This guy and his staff is SOO comforting and easy to talk to!!! SEE DR SINGER!!! An experienced primary care doctor and a family physician, Dr. Maurice Singer looks after the people of Philadelphia, PA, where he runs his own practice. His staff is fluent in English, Spanish, and Russian, which makes him accessible to a variety of cultural backgrounds. He is also affiliated with Albert Einstein Medical Center and Holy Redeemer Hospital and Medical Center. Dr. Singer attended the Philadelphia College of Osteopathic Medicine, where he earned his medical degree. 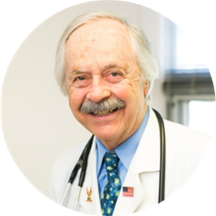 A knowledgeable individual, he is also an active member of the American Osteopathic Association, American Medical Association, and the American Obesity Association. In addition to pursuing his clinical career, Dr. Singer has published articles and book chapters that focus on various topics his field of specialization. He integrates his medical expertise with state of the art technology and strives to provide the highest quality of healthcare. Good as always. Been coming here for years. Always hassle-free. I love this office.